London Fat Duck is well-known for their famous Cantonese style roast ducks. The ducks are sourced from farms located in Ireland, the free roaming ducks are given a premium status of Wagyu duck for its quality meat. London Fat Duck serves typical Chinese/Hong Kong style dim sum with a focus on their signature roast meats. Braised duck is their latest addition to their menu and is served exclusively at the Raffles City outlet only. As the name London Fat Duck implies, the duck is plump with a thick layer of fat underneath the skin, but we are not complaining at all. In fact, part of the fat has diffused into the braised sauce and helped to elevate the overall flavour. 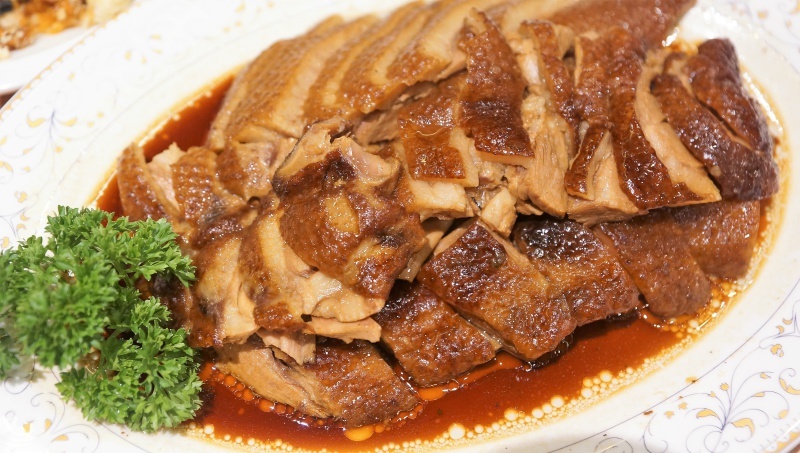 The duck is incredibly juicy and tender, and well-braised to offer a truly succulent Teochew style braised duck. Frankly, you don’t even need the dipping chili sauce to help perk up the taste. 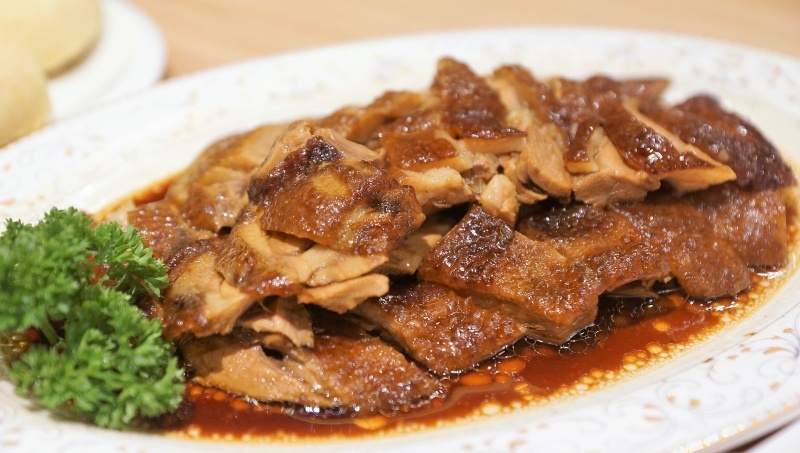 If you are a braised duck lover, you’ll be able to appreciate the braised duck here. We have tried many famous braised ducks in Singapore and dare I say, London Fat Duck braised duck is probably one of the best around. 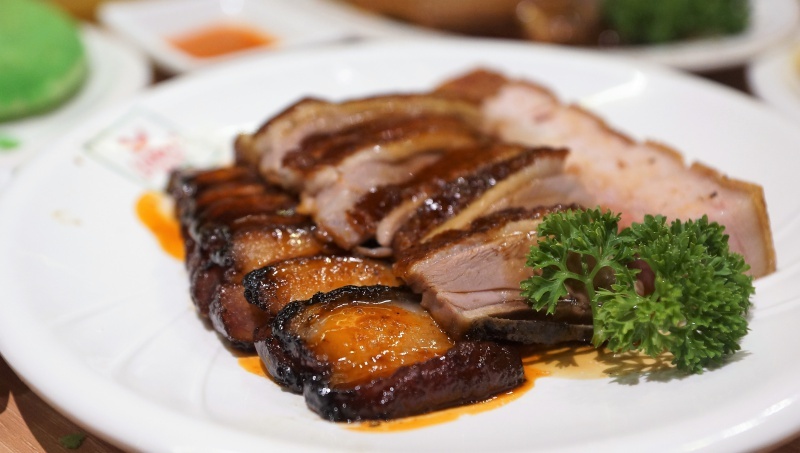 The platter includes Char Siew Barbecue Pork with Honey Sauce or Red Roast Pork Loin, the Signature Roast Duck and the Roasted Pork or Siow Bak. The char siew was well-marinated and roasted with a nicely-charred and caramelised exterior. The Signature Roast Duck lives up to its name, savoury sweet and tender texture with its crisp skin is definitely worth a try. Chee Cheong Fun with Thai Cai Po. 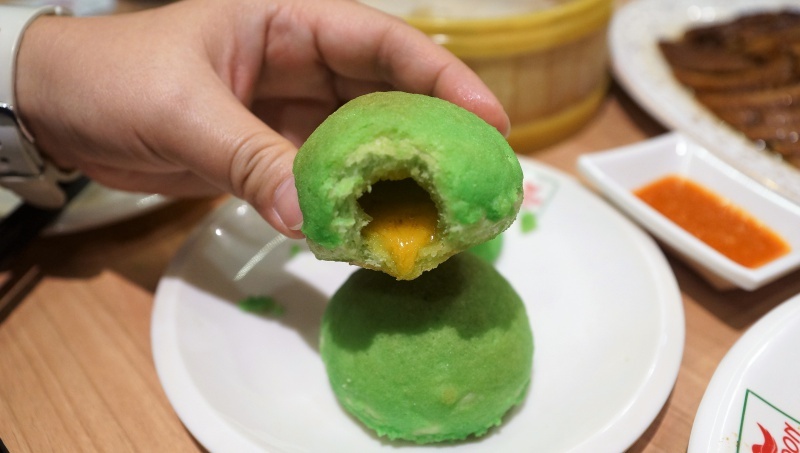 We can’t weed out the need to compare this snack to Chwee Kueh. 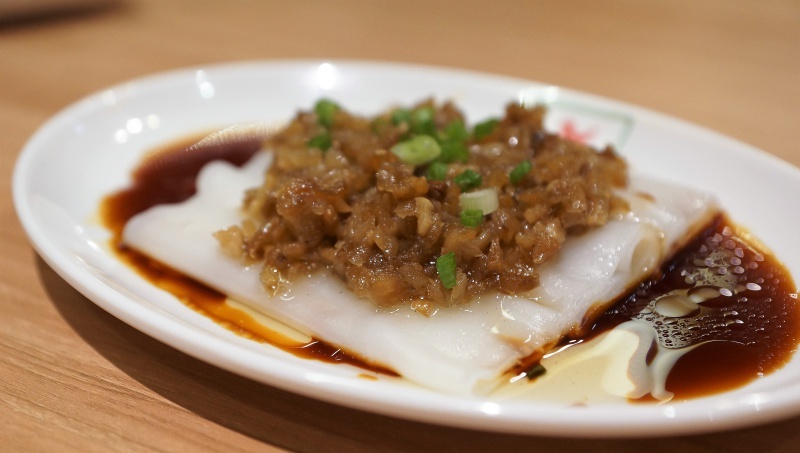 The same fragrant Chai Poh toppings, but on this fine and chewy Chee Cheong Fun instead. Overall a unique combination that is worth a try. The buns have a nice and crispy crust, encasing sweet savoury duck meat. 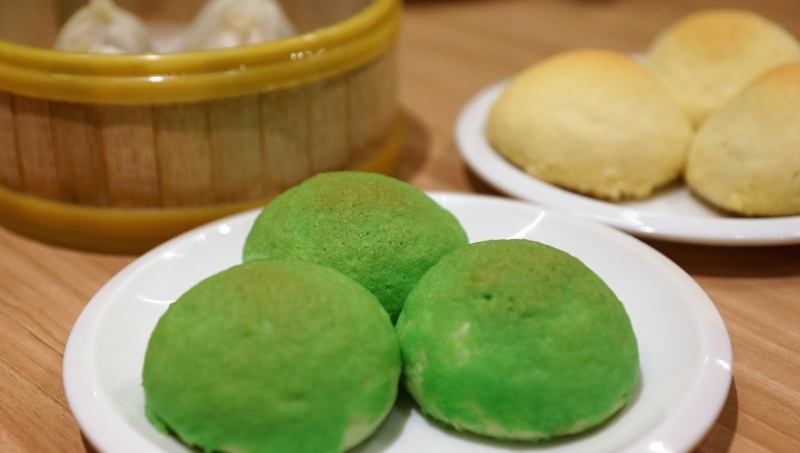 The pandan infused “green” buns have a crispy crust and contained the sweet savoury molten lava custard. The custard was rich and flavourful, a bite of the bun sent the lava oozing out all over the mouth, messy, messy but we just love it. 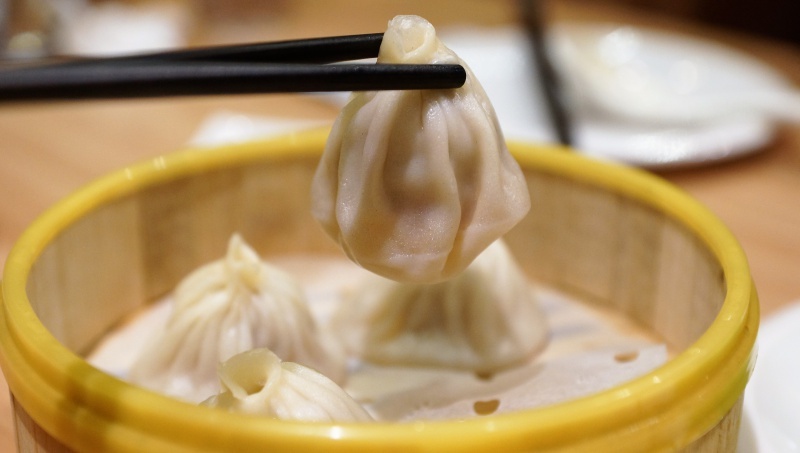 When we lifted the Xiao Long Bao with the chopstick, the sagging belly indicated a rich broth-filled dumpling. The soup contained all the essence of a good Xiao Long Bao and London Fat Duck surprisingly was able to deliver the Xiao Long Bao a quality comparable to some of the best around. Highly recommended. 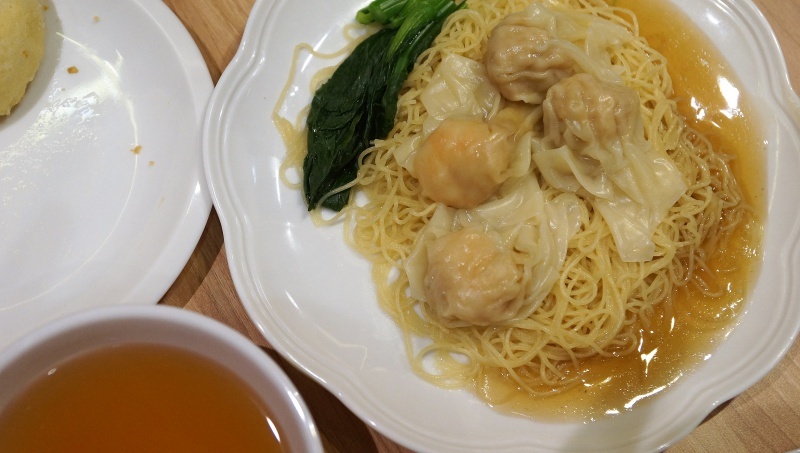 The springy yellow thin noodles were doused with light flavoured sauce, topped with flavourful wanton dumplings and veggies, overall a delectable dish that we all enjoyed. 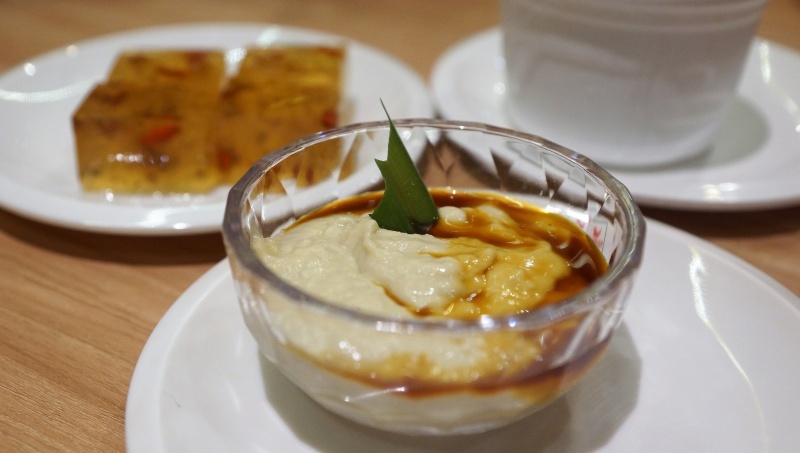 The durian pengat was rich, creamy, sweet and luscious from the fresh durian puree with mixed with the touch of Gula Melaka. The consistent texture and gentle flavour will win over even those who aren’t big fans of durians. Honestly, the durian pengat served at London Fat Duck is superior than ones from the hotels here, a dessert definitely worth to order. 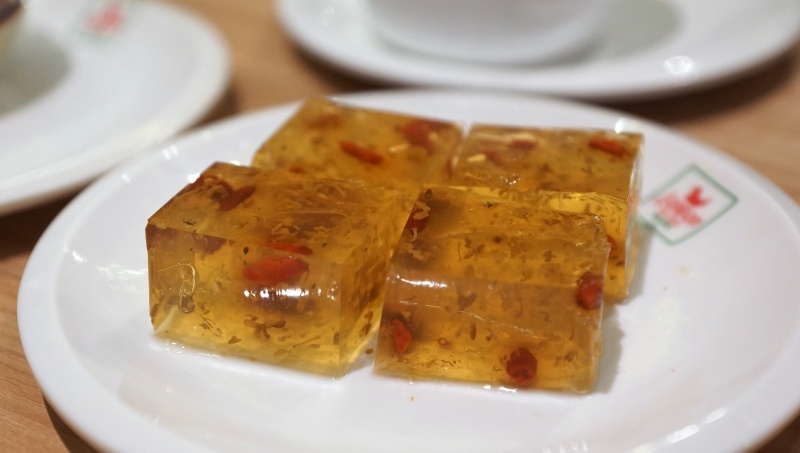 Peach gum was used in this traditional Chinese dessert, peach gum is the resin secreted from the bark of peach tree. The gum crystals are a traditional dessert and an excellent skin tonic which has many other health benefits eg. activates the blood and replenishes Qi. A nice dessert to complete the meal. 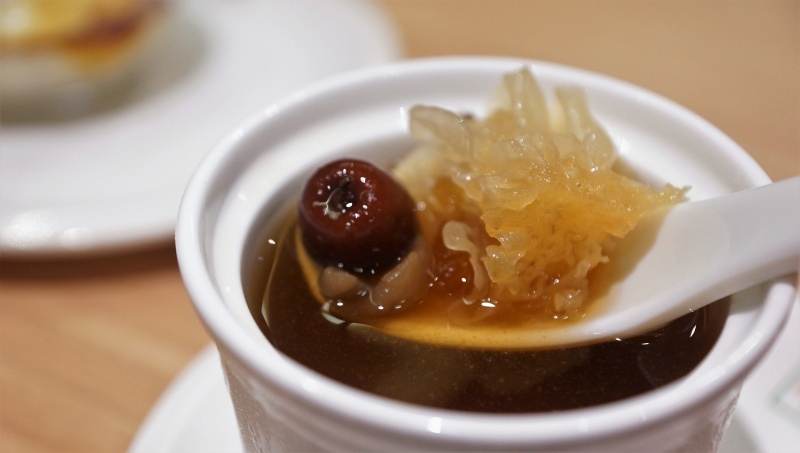 Refreshing Osmanthus, wolfberries jelly was light, florally with hints of honey sweetness. It is another nice dessert that we highly recommend. 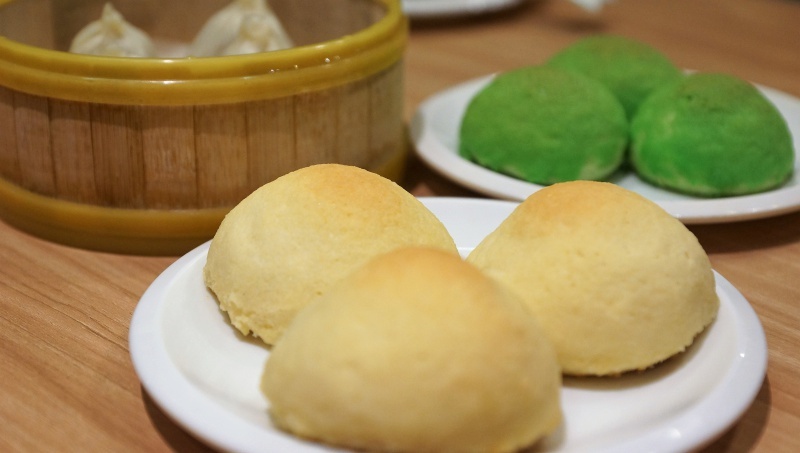 Be it the braised meat, roasted meat of dim sum, we can detect the passion and culinary skills exhibited by the chefs into each of the dish. 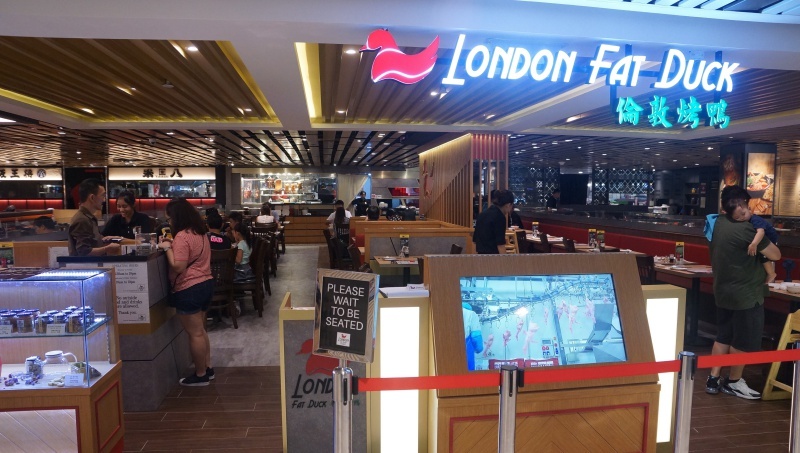 Besides the delicious and quality traditional Hong Kong cafe items, the new braised duck served at London Fat Duck and only available at RafflesCity outlet is something not to be missed for a simple reason – it is definitely one of the best around.